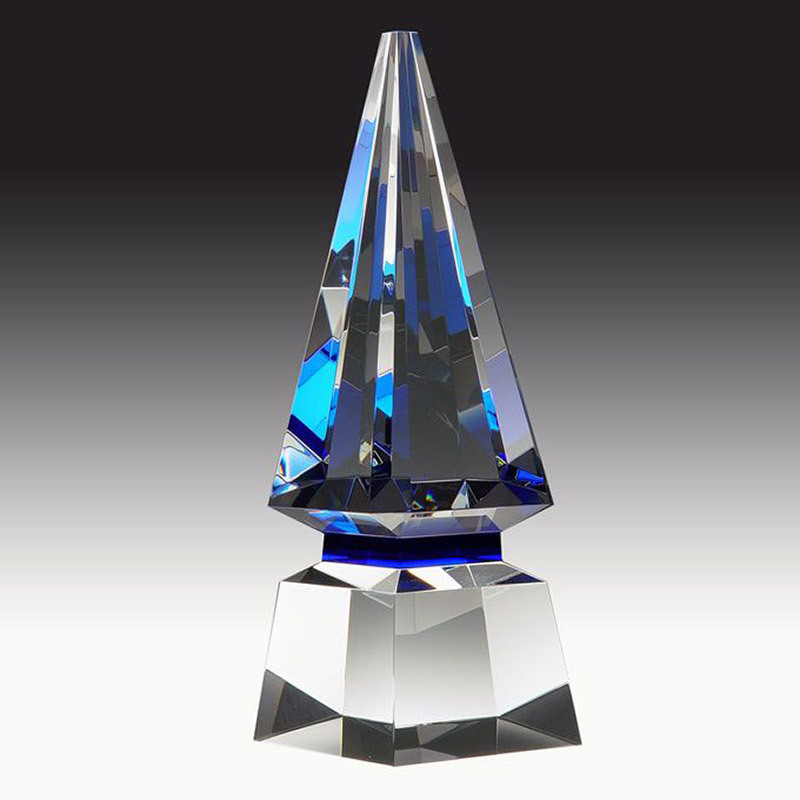 A stunning crystal award fit to grace the very highest levels of performance and achievement. From Prism Crystal's Elite Collection, this magnificent art work was designed by Peter Yenawine and is hand-crafted using the traditional Pate de Verre technique. This meticulous craft ensures that each work of art is unique with a finish and character that cannot be matched by blown glass or molded glass. Standing 10.75in tall, these awards can be customised by engraving on the base. They are supplied in a luxury presentation box. Size: H 10 3/4in x W 3 1/2in x D 3 1/2in.